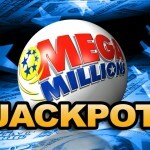 No player was lucky enough to match all the Mega Millions winning numbers and therefore the next Mega Million jackpot is expected to be worth a staggering 476 Million dollar. The numbers drawn in the yesterday’s Mega Millions draw were 9, 19, 34, 44 and 51 while the Powerball number was 24. The ‘MegaPlier’ number was three. The Mega Millions lottery has lacked a jackpot winner since Jan 24 when a College Park Lottery player won 71 Million dollars. 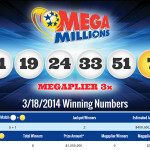 However, 47 tickets matched five main mega millions numbers and each of the ticket was worth $250,000. Last Tuesday’s draw was the third largest Mega Millions draw and this coming draw will go into the history books as the highest ever Mega Millions jackpot. Excitement is spreading throughout the lottery world, as never before has a Mega Millions player had the chance to walk away with such a colossal winning. Lottery players all around the world will have to wait and see who will be lucky enough to be the next Mega Millionaire. The odds are high but playing the lottery is all about chance and fate. You never know if the $1 ticket you will purchase will be the key to the 476 million dollars unless you play the Mega Millions. The Mega Millions is a popular lottery game played by 42 states. 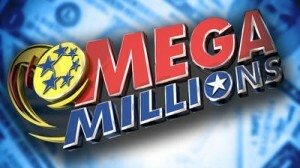 The odds of players matching up all the six Mega Millions numbers one in 175.7 million. 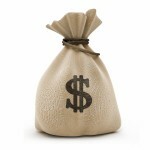 Players in the other parts of the world can participate by playing Mega Millions online. 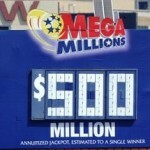 Who Won $400 Million USA Mega Millions Jackpot?